You're a “living weapon of humanity”! 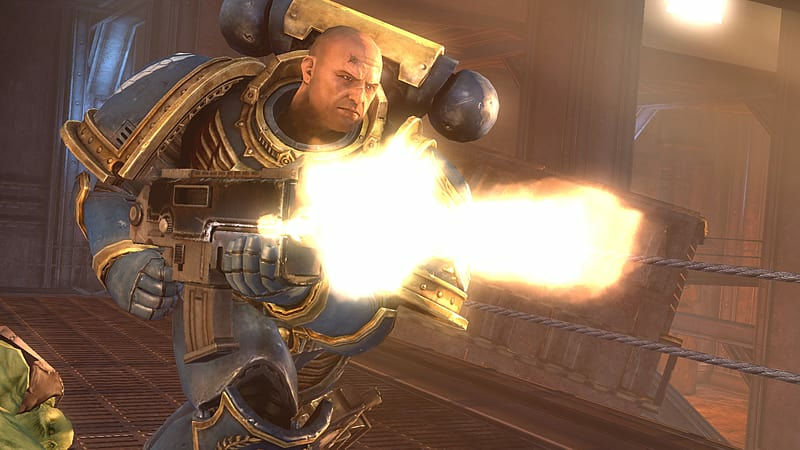 In other words, Captain Titus, a muscle-packed, Chainsword-wielding Space Marine! And your planet needs you in this videogame adaptation of the classic Games Workshop strategy/tactics tabletop game. Strap into the armour-plated suit of said man-mountain and launch yourself into the unholy forces of Chaos in this third-person blood-fest! 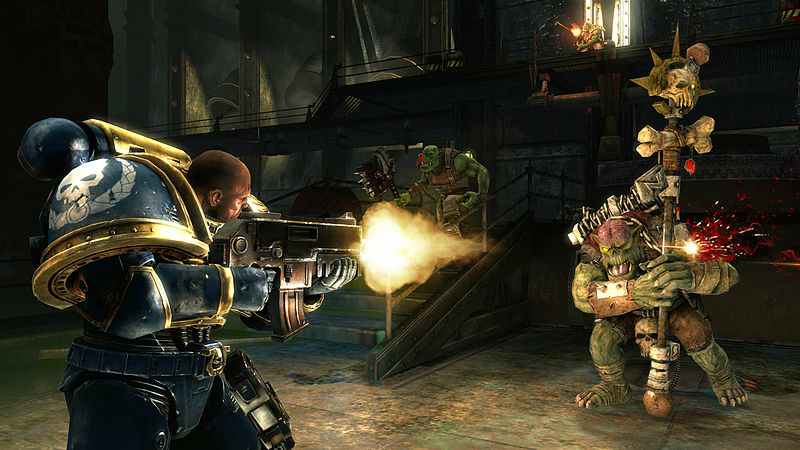 Cover is for Cowards – forget hiding behind brick walls and popping up for the odd shot or three; that's for wussies (and Gears of War players). 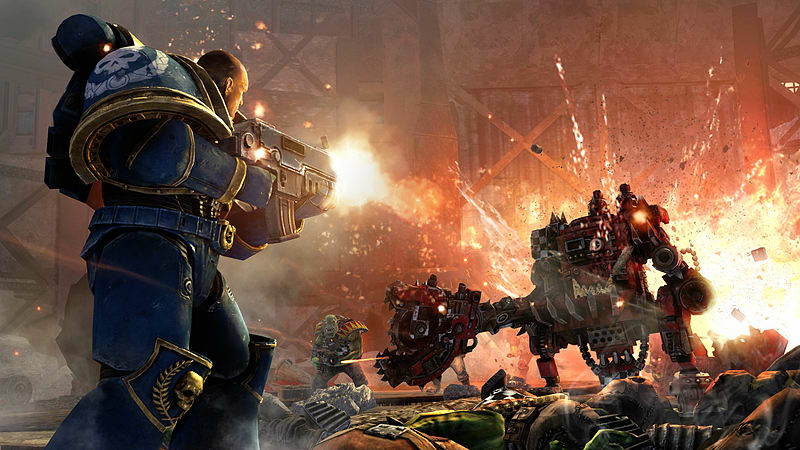 No, you are the wall and Warhammer 40,000: Space Marine wants you to charge into the battlefield, shooting and tearing apart all and sundry with no respite and no chance of retreat. Time to man-up, people! 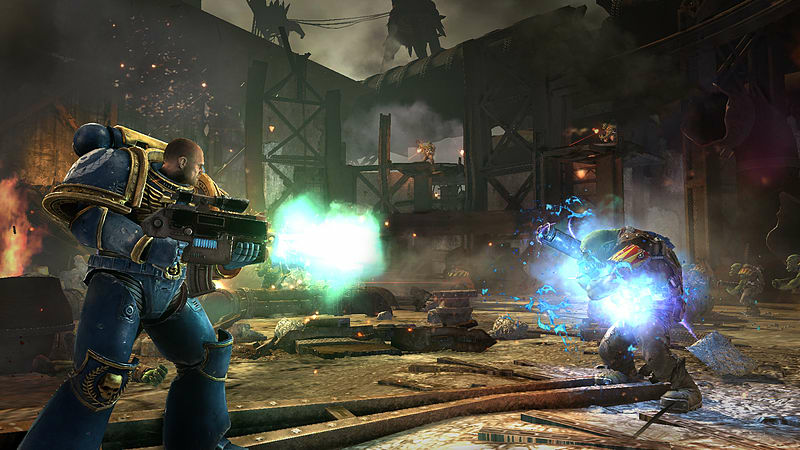 Tool Up with Chums – experience Warhammer 40,000: Space Marine's massive multiplayer battles, slicing gamers to pieces from all over the world. 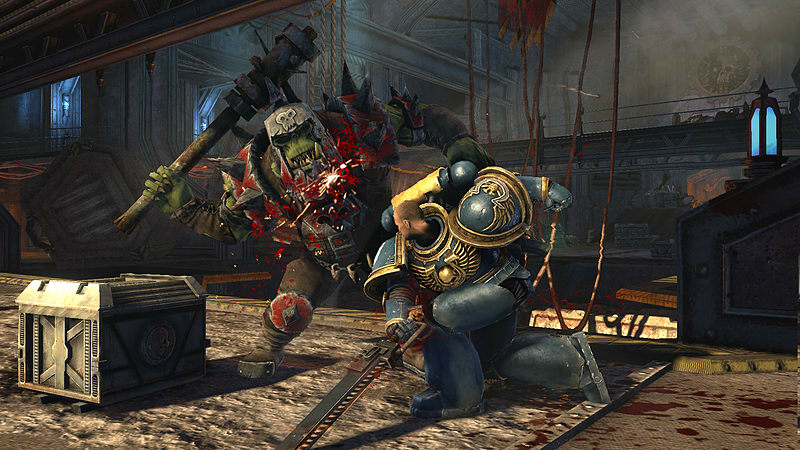 Then indulge in the awesome co-op play to bring real camaraderie to any skirmish with the dastardly Ork hordes.